Polka Dot’s are the big trend right now! When we saw the images and video clips from Fashion Week, we knew that polka dots would be a big hit this year. 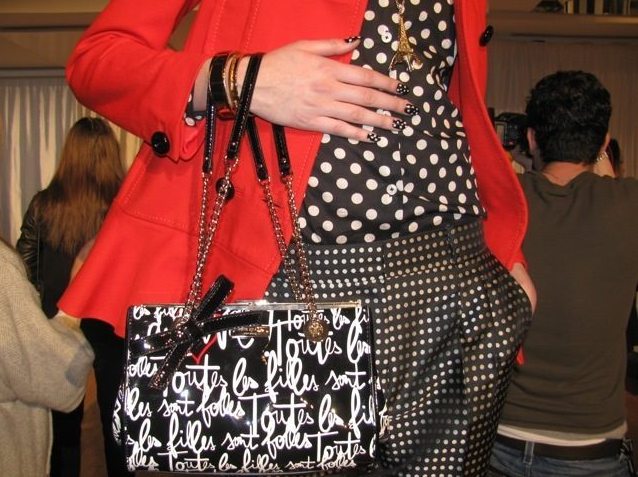 We loved all the polka dots that Kate Spade Came out with. Even though Taylor Joelle is for children, we still want to follow today’s fashion trends. We are pleased to announce that our next 2 collections both involve polka dots!!! We can’t wait to show you pictures of how we have incorporated dots into our lines (we will give you a peak in just 2 short weeks)! How can you as a mom incorporate this fun trend into your wardrobe? Here are some of our favorite looks! (click on the photos to be linked to where the items can be found). Here’s a look from pinterest that we love! And how adorable are these polka dot pants! I was so disappointed when they didn’t go up to Taylor’s size. I would have bought them for sure! And of course we need to include some Taylor Joelle! One of our best selling items is our polka dot ruffle tights. We love these. They go with so many outfits! So, we hope that you all include some polka dots in your wardrobe this fall. Especially our Taylor Joelle polka dot outfits which will be coming very soon!! !